I picked these up a week ago in Porthcawl Boots while they were on offer and they are perfect for the summer. I don’t really like to wear matte lipsticks and heavy colours in the summer so something like this is perfect to pop on your lips to keep them hydrated and add some sheen to a natural look. There are currently Limited Edition 3 flavours, all translucent despite their coloured look! Orange, Strawberry and Green Apple, all scented to mimic their names. There are no swatches with this review as they are translucent and look like any regular balm! The texture is very smooth and your lips do feel quite hydrated for a while after application! I did find myself applying less often than Baby Lips by Maybelline, and felt these were more smooth and less like a lipstick feel like Baby Lips. The Scents are lovely, taste almost sherbety, but the green apple smells a lot more like watermelon, which isn’t such a concern for me as I love watermelon! Overall, £1.99 is an amazing price if you don’t like colour but want to add a sheen to your look. Grab them while you can, as they are limited edition! Would I repurchase? I probably would if they released lipbalms in the future! 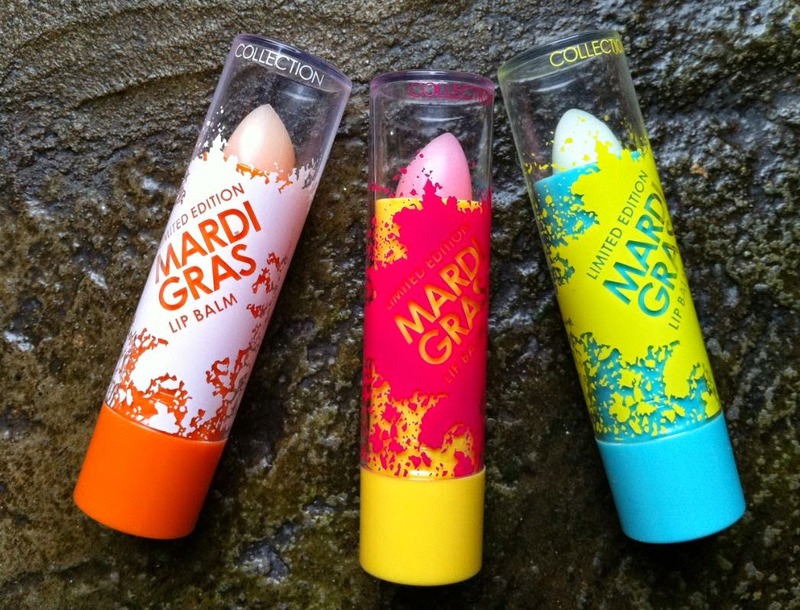 Posted on June 24, 2014 by sindyydollPosted in CollectionTagged bblog, bblogger, collection 2000, collection makeup, Collection Mardi Gras Review, collection review, lip balm review, Mardi Gras Review. 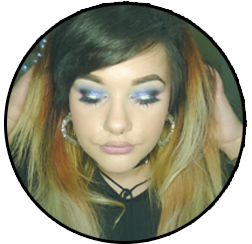 Previous Previous post: Guerlain Météorites Blossom Écrin Sourcils Eyebrow Kit Review + Swatches!